Here at Workaway we now have an amazing 20,000 + hosts involved in our volunteer exchange projects from all over the world. From agricultural work, scuba diving, yoga retreats and most things in between, we are so proud to be associated with so many amazing hosts. So, we are introducing a new feature to help recognise what a difference cultural exchange can make to travellers and to hosts. 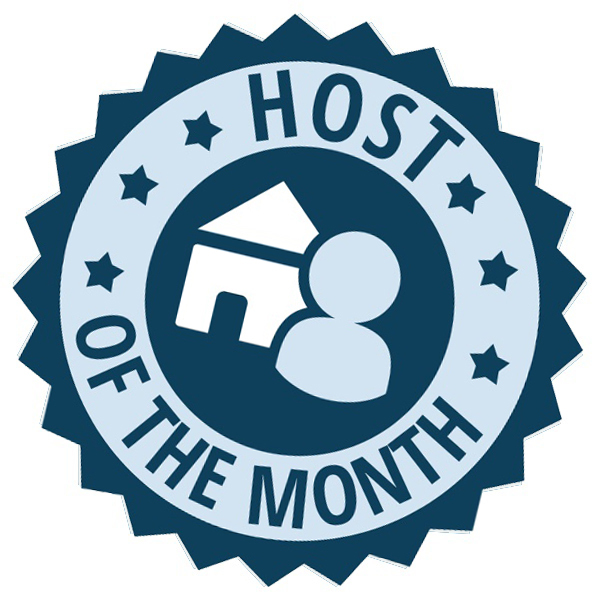 Going by the name of ‘Workaway Host of the Month’ we will reveal more of what it is like to be a host and let you into their routines and how their projects have changed since opening their doors to you guys! As we lust over all our Workawayers photos entered into our Travel Photo Competition we are reminded of our own personal trips we have taken over the years and one that we just can’t stop daydreaming about is Colombia. 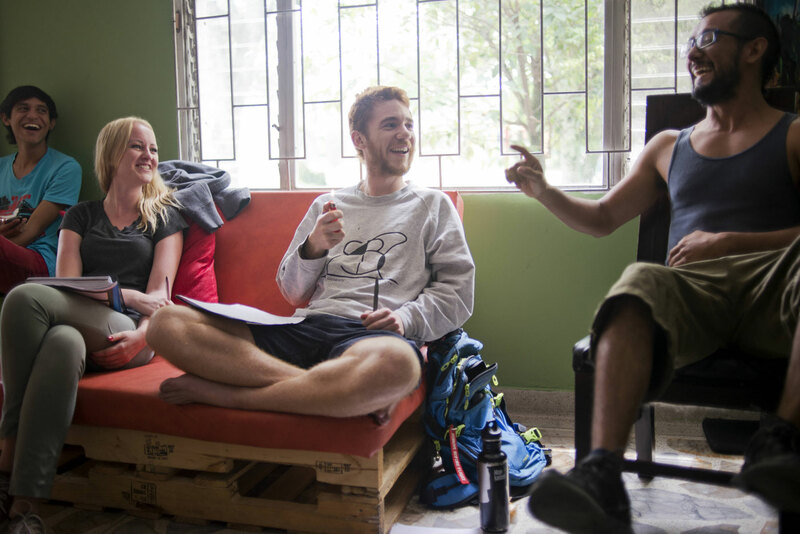 So to cure our wanderlust we spoke to a newly opened up language school in Medellin. Can you tell us a little bit more about your school? We are an alternative Spanish school in Medellin, Colombia. Our goal is to teach Spanish in an engaging and effective way through an innovative teaching methodology and connecting students to locals, which for us is one of the most important aspects of meaningful travel. We believe that language is a means of communication, not merely a set of grammar rules to memorize, so we focus on conversation both in the classroom and with local Colombians. 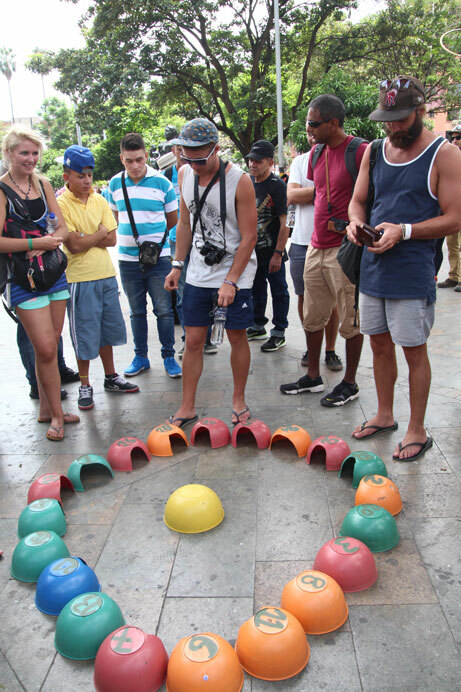 We also try to involve the local community as much as possible, whether that means our students are venturing to the plaza to practice their Spanish as part of class, playing soccer in the nearby cancha with local kids, or inviting locals over to eat lunch with us in Spanish. It sounds like a great project! How long have you been hosting travellers via Workaway and how did you hear about us? We opened up in August and have been hosting Workawayers ever since the beginning. In fact one of our founders was a Workawayer before and so he is very familiar with the concept and had the great idea to invite travellers to come stay with us and help build the school. It’s been one of the best decisions we’ve made. 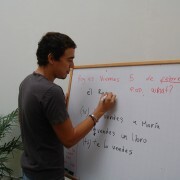 In just five months we have had over 20 Workawayers staying with us in our language school. We love how your founder’s a fellow Workawyer! 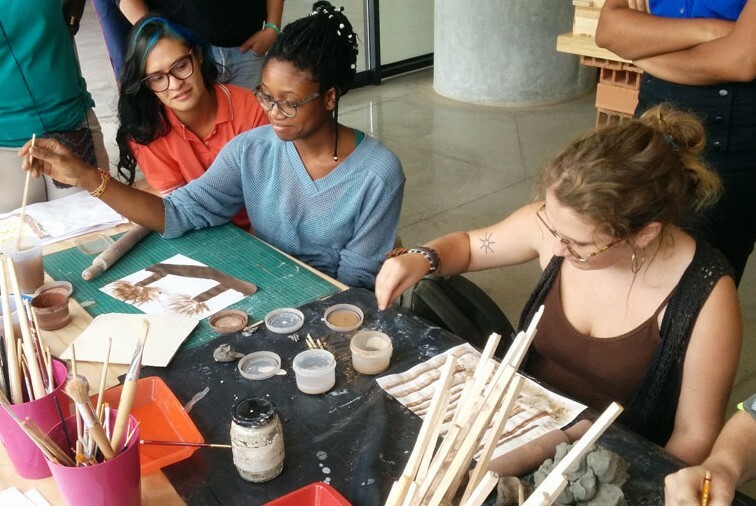 What does a normal day in your language school look like for you as a Workaway host? A lot of Workawayers are very keen on joining our classes to learn to to improve their spanish, so very often we will start the day with coffee and Spanish class. After that…. anything is possible! One of the best parts of being a host for the school is that each volunteer brings a unique skill and contribution to the team, so there is no fixed routine or strict schedule. We work with each volunteer to see what they could bring to the team, and then design a project that suits their skills the most in a way that’s interesting for them and helps us move forward at the same time. In the afternoon everyone gets out to explore the city: Salsa dancing, to an art museum or any local events, or out to eat at a restaurant in the neighborhood. Oh, how we miss salsa dancing in Colombia! Got room for one more? 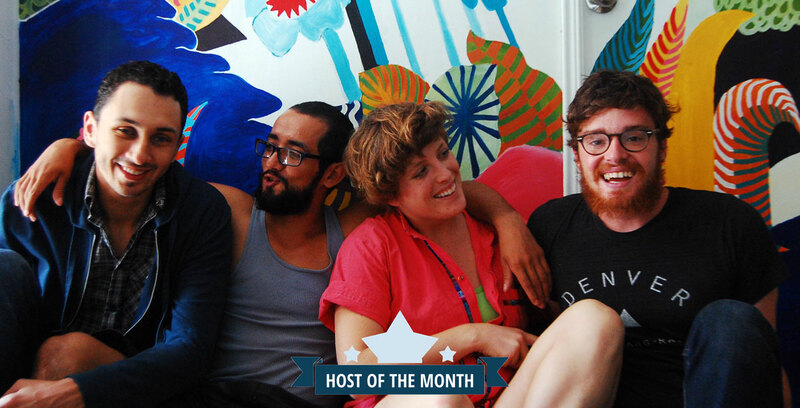 What is the best thing about hosting Workawayers? Our team has learned a lot from each Workawayer that has walked through our doors. There is no feeling equal to when strangers become inspired by your project, then does amazing work to help your project grow and improve. We are constantly learning new skills, getting exposed to new ideas, and connecting with interesting and creative people from all over the world. Our volunteers also help us create a great atmosphere at the house. We’ve had many workawayers that just wanted to come help us, and to contribute to something meaningful. We love that mentality! That certainly is one of the best feelings out there! What is the best thing you have learnt from a Workawayer? One Workawayer was a project manager back home, so one night she started analysing and planning with one of the other Workawayers and there everything changed. She ended up bringing some much needed structure to our chaotic project by leading us through workshops and helping us define our priorities. She was the one on vacation but she whipped us into shape! We have a much better idea of how to stay organized thanks to her. Awesome, what a valuable skill! Can you tell us how your school has improved since hosting travellers? I’m not kidding when I say our school wouldn’t exist without the contribution of Workawayers! Workawyers for president! Ha. Can you tell us any funny stories that have happened during hosting Workawayers. I was walking back to the language school one day after going out to lunch when I saw two grown, tattooed men, one lifting the other, trying to get onto the school’s balcony from outside. I couldn’t believe it- was I witnessing a burglary in broad daylight? and right as church was getting out?! Turns out two of our workawayers showed up to move in while we were out for lunch. They had been waiting for about 20 minutes so decided to climb onto the balcony to drop off their bags and come back later. They ended up being some of our most helpful workawayers, really good people, and have continued to stay involved with the project. It was just a really funny start to their volunteering here. They certainly sound like real travellers – eager to explore! 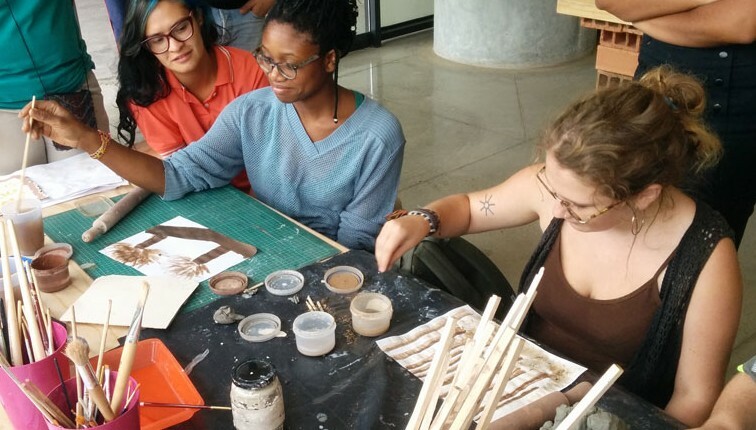 Do you think culture exchange programmes like this are changing the way we travel? Absolutely. The existence of cultural exchange site like workaway mean that travelers can stay longer wherever they go and travel in a more meaningful way. 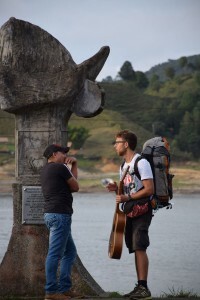 Many traditional vacations are limited to several weeks of sightseeing, whereas a longer-term traveler gets the chance to actually connect with the place they’re visiting: maybe they have time to learn the language, make some local friends, or help with a project that’s happening in the community. Experiences like these mean that ultimately the travelers will have a deeper understanding of other cultures and be better global citizens. Can you give us one bit of advice for all our Workawayers out there looking for a host? As a host we get lots of messages from Workawayers, which means that it’s difficult to reply to everyone. It really helps us if the Workawayer shares 1) Why they are excited about our project in particular 2) What skills they would like to contribute, and 3) What dates they are available. Some great advice there, thanks guys! We love the sound of your project and are so happy to hear how much Workaway has impacted your language school and community! We’ll head over very soon for some salsa lessons! Ahora estoy viviendo mi primer experiencia como host, con una pareja alemana. Unos workawayer increíbles de quienes aprendo mucho y les comparto nuestra Cultura cafetera y el idioma español.